The VORTEX-275 LED Ceiling Light utilises LED technology to provide a uniform and energy efficient alternative to incandescent or CFL lamps, with only 15W of power consumption! The VORTEX-275 , with its opal diffuser, is a simple yet effective ceiling light well-suited to many areas (e.g. The VORTEX-275 LED Ceiling Light utilises LED technology to provide a uniform and energy efficient alternative to incandescent or CFL lamps, with only 15W of power consumption! 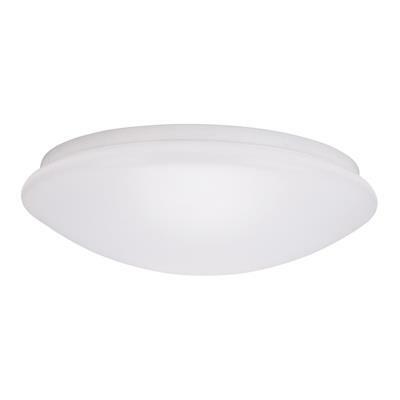 The VORTEX-275, with its opal diffuser, is a simple yet effective ceiling light well-suited to many areas (e.g. bedrooms, lounge rooms, workshops etc). The VORTEX-275 also features the ability to be dimmed with the Domus Dimmer Series, also available from the Domus Range of LED products.